Why advertise with Hello Woodlands? Not only do we reach OVER 1.5 million people online EVERY month, have OVER 50,000 Social Media followers, have OVER 13,000 email subscribers, but we work closely with our clients to create custom and effective campaigns and content that reach their target audience and exceed their goals. Please contact us to view our media kit and current advertising opportunities by submitting a message through the contact form below or email info@hellowoodlands.com. We look forward to talking with you soon! Please share your advertising goals, more information about you and your business, organization and/or event, and include your website (if available). We look forward to working with you! 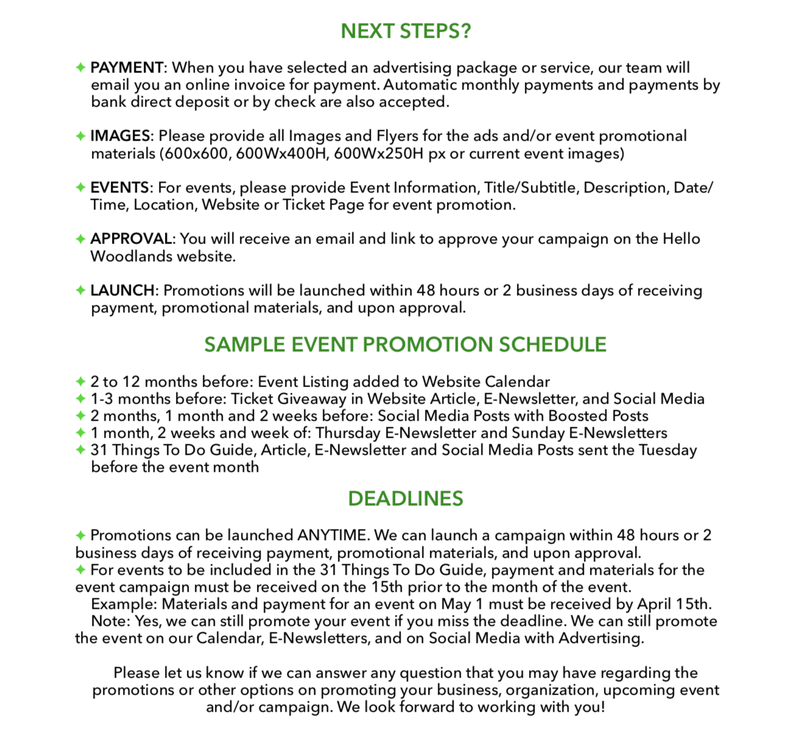 Event Advertising – Event Promotion on Social Media, Website Calendar, Email Newsletter, and 31 Things to Do guide and campaign. We are currently accepting and promoting events through December 2019. NOTE: We do not accept funding from political or election campaigns or groups. 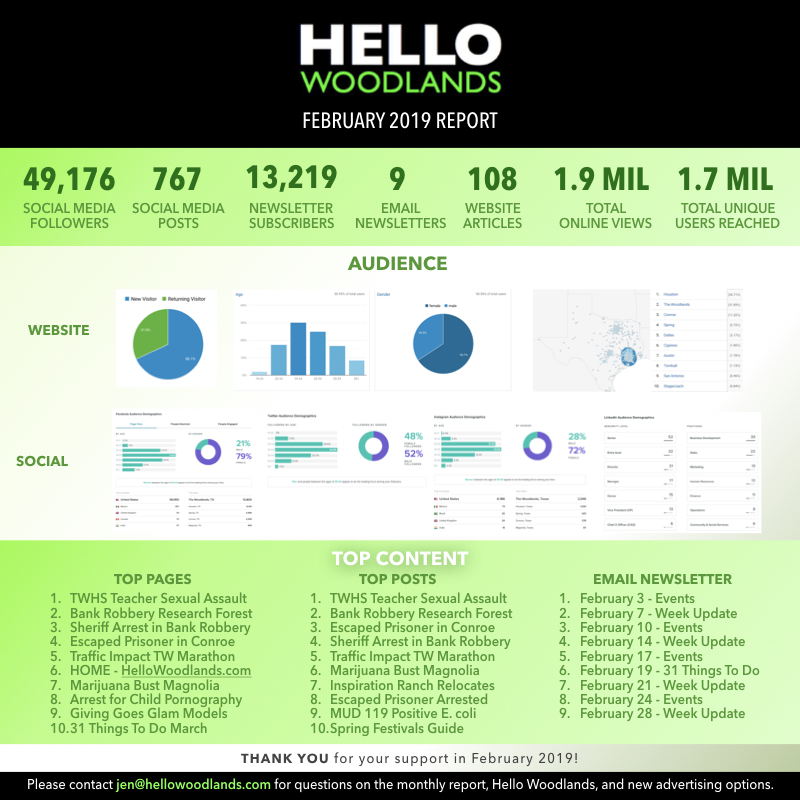 Our advertisers receive a monthly report of Hello Woodlands’s analytics and activity. Please see the actual report received for February 2019.